On 16 May from 19:00 until midnight everyone was invited to attend Heine Røsdal Avdal’s installation “Box With Holes”. 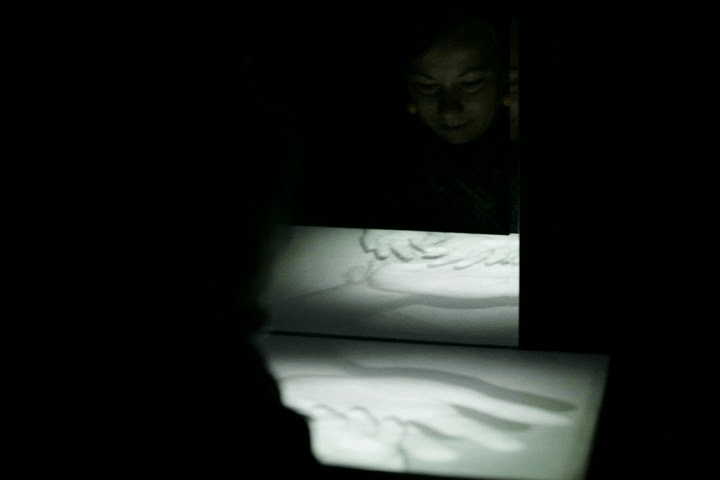 Heine Avdal seeks to explore the relationship between touch and it’s visualisation. How do we see and experience inter-human interaction in a period in which we increasingly communicate via technology? In “Box With Holes” he tries to make the spectator go through a physical experience during the performance and sees if this can affect perception. The performance attempts to place the spectator into another mental state through focusing on a displacement of the senses. The spectator’s attention is not only directed conventionally outwards, but through technology arranges “Box with Holes” the senses inwards. “Box With Holes” is an intimate and anonymous experience that feels real, but looks and appears different in another medium. Every admission lasts for 15 minutes.